Any suggestion would be heartily welcome. I have sent you an email to you to provide all steps and screens to make plugin working in chrome. Hi dymodev, I’m having the same issue with a client of ours, could you please send me the email with steps to us to make the plugin work in chrome? Hi Julie, Some users report that they do not see the framework plugin until they do a full shutdown and restart of their computer after they perform all the steps required. could you send me the email. I’m having the same issue. Does anyone have a fix already? #HALP! We’ve update this post with more explicit directions. You’ll want to make sure that your Chrome browser is closed before re-installing DLS and for more step by step directions there is a post by “pi” in this thread that has that information. Silly question is DLS = dymo label software? should I just try reinstall that? Hi Shelly, yes DLS is referring to the DYMO Label Software. Make sure you follow the steps and that Chrome is closed before you re-install DLS. Do you have DYMO Label Software installed on your machine? Ouch, very troubling news. Chrome is the most popular browser among our users and telling them to switch to Firefox is not going to go over very well, IE Tab is not an option for us. The DYMO Label Framework has been perfect for our use, please keep us informed, hopefully you can get it straightened out. I have over 1000 customers that use Dymo label printers using the this. They absolutely love it. With all of these settings enabled, the plugin is still not working on Chrome. Is there anything that can be done to get the plugin to work on Chrome? Are you using a 64-bit version of Chrome? We’ve noticed issues with the plugin and 64-bit Chrome recently. No, I am using the 32 bit version of chrome. And I am not receiving any prompt to enable the plugin. Is there any solution to get this working on 32 bit chrome? I can get it to work on Firefox, but I am using other HTML 5 features which do not work on Firefox, so I need this on chrome. Still awaiting a response if there is some way to get this to work on Chrome. We really need this to work for Chrome. Are you working on a version that fully supports Chrome? To work with chrome, go to chrome://plugins/ and enable DYMO Label Framework Plugin (DYMO Label Framework – Version: 8.5.1.1816). Pls make sure you have latest DLS installed before you do that. Since your comment system doesn’t want me to post links on the subject, I’ve added a single link to a pastebin to my lectures about NPAPI end-of-support in major web browsers, and possible solutions. Hoping someone can shed some light on how the search for an alternate solution is going. Has anything been identified yet for support in a post NPAPI world? Response greatly appreciated as users are beginning to ask what will happen in September when NPAPI no longer works in Chrome. We think we have identified an alternate solution and are in the initial stages of development. We understand the urgency on this but we want to ensure that when we release a fix, it is not just a stopgap solution and is something that will work for the foreseeable future. I don’t have too much to share on when we will release the solution but I can say it will be at least a few months. Thank you, I will keep an eye open for further updates. So more then a year has passed. I’m sure you have found a solution ? If you would open source this we could all help out – this feature is a hugely useful tool and one that could be taken much further if the community was given the chance to help. It would be great free marketing as currently no one really knows about this Dymo capability, you’re not getting much competitive advantage for a rarely updated, un-marketed feature – this site it impossible to find from visiting dymo.com and this blog is rarely updated and not prominent in search engine results and the examples barely scratch what can be done with this. Let the code be free, put it on Github, start accepting pull requests and the community will sell it for you. I think Ben’s idea is great and would be interested in submitting some PR and helping resolve the NPAPI issues, especially as DYMO doesn’t work with 64bit chrome. Chrome 42 was released today, and so your printers no longer work in Chrome. Please let us know if we can help with getting this fixed as if it doesn’t it means we will have to start recommending other printers to our customers. It prints just fine. Please make sure all the settings mentioned above have been changed. Yep, the settings are exactly the same as you’ve mentioned above, it worked with version 41 but not with version 42. The google NPAPI article says that NPAPI is now disabled. Like Marvin we have hundreds of users (most non-technical), as such the above solution is not workable. When we have so many non-technical users all around the world our only real solution is to suggest they use another web browsers, even this is stretch for some. If we are going to continue to support your hardware we need to know that you have a plan and what the timeline is, if you can’t share something then frankly we wont be able to continue to support your hardware. We have also started experiencing issues today. Starting Chrome 42 the Dymo plugin stops working. After manually enabling the NPAPI it works again but we have more then 500 installations of this at the moment, can’t really ask all of them to go deep into Chrome settings to change this. Plus, this is only a temporary fix untill final deprecation in September. Dymo, please shed some light on the roadmap for a future solution! 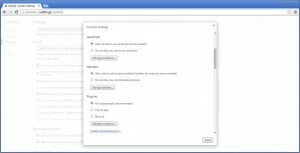 It should be possible to programmatically update the chrome settings. Currently we are working on a solution which should be ready before September. Thanks for the quick reply! Will keep an eye on this page for the latest changes and updates. We just upgrade to Chrome 42 and the printing piece has stopped working as well. I’ve tried the workaround steps above and it hasn’t made a difference. We get “Is Framework Installed: false” and “DYMO Label Framework Plugin is not installed”. Chrome does not prompt us to allow add-on and the plugin isn’t listed in our settings. Also, the link to the sample page above isn’t even found. It redirects use to the DYMO home page. Make sure your site is allowed to run plug-ins in Chrome. 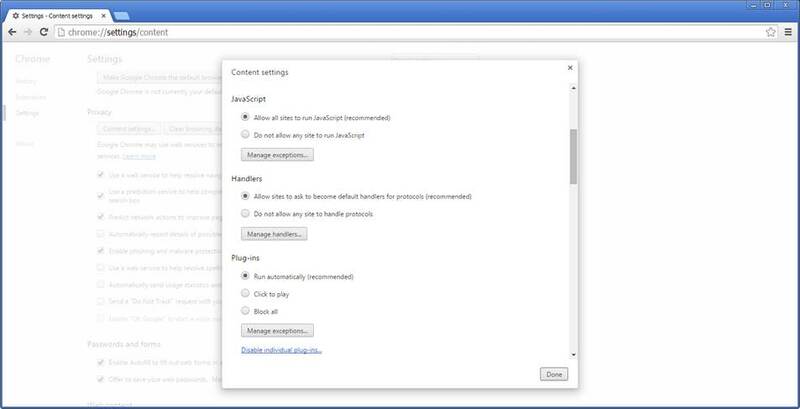 This can be managed in the Chrome settings plug-in dialog (e.g. allowing “[*. ]labelwriter.com” to run). Furthermore make sure that NPAPI is enabled (chrome://flags/#enable-npapi). I added this exception under Plug-in exceptions for our site and the behavior did not change. I still get message about Plugin not installed. Do you have a sample site that I can test this with outside of our system to make sure it isn’t site related? Sorry, once I did chrome://flags/#enable-npapi, it worked after I restarted Chrome. That source is no longer there. Can you get it back asap? Thanks!!! A download link has been added to the http://developers.dymo.com/2015/04/16/labelwriter-com-outage-3/ blog post. Thanks for the 4-15-15 workaround; worked wonderfully!! Your support is very much appreciated. The file http://labelwriter.com/software/dls/sdk/js/DYMO.Label.Framework.latest.js became unavailebla. Has anyone an idea where to find an copy of the file, or if anyone has an local copy that would be great. All we need is a copy of the file to load it locally. Linking us to a post that says it’s “down” does nothing for anyone that depended on that file. Can you please put the latest js file on this site? I find it rather troubling that this NPAPI issue has been known for at least 18 months and the talk is that it SHOULD be fixed by September… I mean this had to have come up in meetings at least a few times, someone dropped the ball on addressing this issue. We are actively pursuing a solution that can be used in Chrome and will replace the functionality that we get from NPAPI. It is not a simple issue to fix due to Google not providing a sufficient alternative to NPAPI. We have researched many different alternative methods and most of them will not work. Believe me, I do realize that September is right around the corner but our goal is to have a solution in place by then. Thank you for your input! Unfortunately “WebRTC” and “App API for access to USB hardware” doesn’t work for us. We have done a lot of research and we have identified a solution. This workaround works for me. However, come September when Chrome kills NPAPI support entirely does this mean Dymo will no longer work in Chrome? Do you folks have plans to get this working with a more secure type of plugin such as PPAPI that will still be supported? We have researched PPAPI. Unfortunately PPAPI doesn’t support what we need! We are pursuing a different solution and the goal is to have a solution by September. As I understand PPAPI does not have USB support yet, though Chrome APP’s do have. Wouldn’t it be possible to port existing libraries to PPAPI and perform communications with USBthrough an APP? This way it would be an APPwith full support for all printer functions across multiple platforms, including even chromeos. This approach may work, but we have identified an alternate approach that we are currently working on. Just a tip: after hitting chrome://flags/#enable-npapi and enabeling NPAPI in Chrome 42 it is nessesary to close the browser and restart it, then the Dymo printer should become available again. I support the open source suggestion btw! DYMO – I agree that I’m a bit nervous with September being so close. I appreciate you responding to comments on this post notifying us of a solution that’s coming but the vagueness of the replies worries me. The lack of transparency makes me concerned that your confidence in the solution is low. Are there any additional details you’re able to provide? Everyone Else – It sounds like we’re all pretty concerned about September and we’d all like to know our options. While I really appreciate the solution DYMO has supplied over the past years, we need to do what’s best for our companies. Is anyone aware of any alternatives to DYMO that provide a smooth web integration that won’t be subject to the NPAPI updates? I understand your concerns and you need to do what is right for your companies. As a sign of some transparency, we have researched and tried various solutions. NaCL, PNaCL and Native Messaging Host are some of the solutions that we researched. None of them were viable as a NPAPI replacement for us for various reasons. The most promising was using Native Messaging Host. This actually works if we wanted to build a Chrome labeling plug-in but it does not work for providing a label API that could be used by third parties due to domain restrictions. Our current solution centers around using services and this could potentially replace all plugin’s. In the end, we want to provide a thought out and solid solution that is not rushed into. We thank you for being our customer and appreciate your patience. Thanks for the reply and I really appreciate you responding. I can also appreciate wanting to get the implementation right and I’m sure you’re feeling plenty of the stress with the September deadline. We’ll hang in here and if there’s anything the community can do (open source it, beta testing, etc) I’m sure plenty of us would be willing to help. I think most of us are here because no one else is doing what you are with web-based label printing and we love it. ListLabelShip has sent me instructions on how to enable the Dymo Label Framework plugin. The problem is, it isn’t listed at all anymore under plugins. I can’t enable it manually because it has vanished, and re-installing the software for my LabelWriter 450 doesn’t help. Any solutions? First make sure that you have enabled NPAPI (chrome://flags/#enable-npapi). Then follow the steps in the post above in order to enable the DYMO Label Framework. If the DYMO plugin still doesn’t show up (chrome://plugins/) then you might have to uninstall and re-install DLS. I have uninstalled and re-installed DLS and the Label Framework plugin still does not come up. Please make sure to enable NPAPI first and also follow the steps mentioned in post above. What does the following link return? It says that Label Framework is not installed. I uninstalled the software and tried to re-install it (3 times.) When it gets to where I connect the printer and it completes the printer installation nothing happens, so I cannot finish the installation. Do you know what is wrong? It is not installed right now. hi, the system won’t let me print any label after the newest update of window. I’d follow every step and it doesn’t seems it work for me. do you guys have any solution? With version 42 of Chrome, Google now disables NPAPI which is required to run our plugin. I don’t have an issue with Chrome 42 once I have enabled the NPAPI again. If it still does not work then you have to reinstall DLS. The only fix that has worked for us is installing an older version of Chrome and disabling all updates through the Windows register. Not safe, but the only way to print hundreds of shippinglabels today. So just so I understand, come September 2015, this plugin will no longer work in Chrome. You guys (DYMO) are currently investigating a fix/resolution to that problem. How will you notify the community of us users when the fix or workaround becomes available? Thanks for your help and your replies! That is correct, we are working on the problem and will inform the community through this blog when we reach a Beta stage and again when we release into production. That being said, when we hit the Beta stage, we would like to engage the community to help us test. Our company uses a lot of Dymo printers, and the plugin to print labels. Hope you can develop another solution to print using Chrome, and updated, when time comes. Or we will need to switch all our printers. We don’t want to not update the browser, due to the obvious security reasons. We do hope our solution will satisfy your requirements and we’ll keep you informed of our progress. I’m still worrying about not having a solution in time. And until september, in every update, i need to go to the flags and enable npapi. Chatting with some friends, and doing a quick research only. Not sure about the viability, but i think we have a few options. Hvae you thought about node.js? or creating and app/extension for chrome and firefox? theres is also chrome.printerProvider in dev, but maybe useful. The sooner you release a solution, the better. Only then can i rest my mind about this issue. Hi Pedro, We have done a lot of research into this and unfortunately none of the mentioned solutions are a suitable replacement to NPAPI. We are actively working on the solution and will present more information about it soon. Thank you for your patience. I’ve tried every step here a few times, uninstalled and reinstalled, checked plugins etc. It isn’t appearing in the plugins in chrome, nor is the framework supported. We understand this is not close to the ideal solution. If we are able to reproduce and solve this issue, we will post an update to this post. If any other reader has any suggestions on how to reproduce or even solve this issue then please post… Thank you. On the same machine tried Google Chrome, Internet Explorer, Firefox, Midori, Canary same problem. We have never upgraded the systems. Why it stop working? Looks simple, but I can imagine it’s not easy to get this done that simple. I don’t know how the non NPAPI plugins in chrome://plugins are designed. We actually investigated this route but it unfortunately doesn’t work when trying use if for an API. The reason is due to the restrictions to message passing to external webpages. Hi Mark, We will keep you updated on any significant development. We are striving to have an alternative solution before September. On the chance that anyone has the same situation as me, I tried everything suggested above with no joy. we have tried all of the above! our systems has been working fine for months and yesterday the app in not connecting to the dymo printer generating upc codes or letting me get into it to access changes of labels etc… called dymo it is not them i can print a price on the ticket from them they assure me it is your system i have down loaded everything and followed your the steps give above help!! I have followed your directions and the DYMO label printer is still not working. Please advise. Have you tried steps below? Thank you very much for this post. We also use the DYMO Label Framework in our internal web application (that basically runs our business), though just some of us used Chrome, so it was strange to learn of the label printing not working from some people for no reason. This clears it up for us and we’ll try our options. I look forward to any solution that comes out from DYMO. Thank you, Mike. We will keep everyone updated on the progress of a solution via this website, we hope to have more information soon. This is unacceptable. You’ve just rendered my Dymo Barcode printer useless. I use it for my store to barcode inventory. When will this be fixed? Hi Todd, Hopefully, you can use the steps in this post to get your application running again in Chrome. If not, it is possible to use Firefox or IE as an alternative, though we know this may not be desirable. We are actively working on a solution and will keep everyone informed about the progress. As an on-page solution: render image (canvas) and use system printer driver through standard printing menu. This issue has just become more urgent. Since version 43 of Chrome it now displays a message on every startup saying “This site uses a plugin that will soon be unsupported”. This is very annoying and unprofessional to our customers. Found no way so far to disable this warning. DYMO, any news on the permanent solution? Watching this with great interest. We only need to print from an internal Chrome packaged app that we wrote for inventory management and label printing. We also use a ZPL compatible printer and send the ZPL directly to the USB endpoint of the printer using the chrome USB APIs with great effect. We may eventually switch to hosting the printer connectivity from a service on the machine that has the printers connected exposing them via a webservice interface to allow access via a mobile app (similar to the Dymo WebSDK. In fact I’d probably just use the WebSDK for the Dymo connectivity). Thanks for the updates on this, and especially for detailed info on what you guys have tried and how it did, and didn’t, work out. The DYMO printers don’t support ZPL. The printer driver is doing the rasterization. The DYMO SDK or the Windows print APIs can be used to print to the DYMO printers. Though I have enabled NAPI under chrome://flags, the “check environment”(http://labelwriter.com/software/dls/sdk/samples/js/CheckEnvironment/CheckEnvironment.html) sample fails with the new Chrome 43 64 bit on Windows 8.1. I’ve rebooted my PC to double check but still not working. The “check environment” is working fine with new Chrome 43 on Windows 7 (64bit). What kind of error message gets displayed? Are the other DYMO samples working? Here are the results from the check environment in chrome, no other errors reported in sample or console log. IE & Firefox have no problems. I have installed Chrome 43 on a Windows 8.1 (64-bit) system and check environment is having no issues. Please make sure that NPAPI has been enabled (chrome://flags/#enable-npapi) and that your computer has been restarted. Does the following sample app list the installed DYMO printer(s)? may on a new Customers think to install firefox so him not Up in the morning with a new “chrome” bug. We are currently working on the solution. The removal of NPAPI from Chrome has a very large impact on our SDK so we are putting a significant amount of research into this in order to come up with the best solution for our customers. Our goal is to have the solution in place before NPAPI gets turned off completely in Chrome. When we get to a certain point in our development, we will release more information on this blog. According to Google, after the release of Chrome version 45, you’ll need to use an alternate web browser to load content that requires a NPAPI plugin. Version 43 is the current version. QZPrint has a solution for their web printing using a tray app. They have a beta version. We’ve been working on a Windows solutions using a tray application. It runs as an web service application. If you start a POST request containing the printer name, the xml, and the amount of copies. It will try and print the XML trough the given printer. If anyone is interested in an test version you can contact me. We’ve been working on a similar (identical?) solution using node.js, just about ready to release an alpha. Perhaps we could/should collaborate. Getting CORS requests working properly is the only difficulty we’re currently having. At present we’re scripting a submit() to a form with a _BLANK target that prints the label & responds with a JS window.close() to eliminate the new tab/popup. Will it work on OS X? Where can I test it? Like to share the fact that your solution works perfectly! Very much in alpha or even pre-alpha, but this solves the problem for us. Open to adding new people to the sourceforge project if you’re interested in/willing to add to the project. Please use the discussion pages on sourceforge for any questions/comments related to the project. Is there no support for Chrome under Ubuntu? I cannot get it to run there. The check gives me: false, false, the operating system is not supported. Now most applications go into the clowd or are web bases (e-commerce websites!!!!) there is no need to keep throwing money to Microsoft. A lightweight PC/laptop with Linux and a browser is much cheaper.I really would like to see the work. Since DYMO SDK require DLS to be installed on the client machines, there is no support for SDK applications running in Chrome on Ubuntu. We do not have a Linux version of DLS. After September, as a backup to Chrome, will Internet Explorer continue working fine with DYMO ? Yes, IE will continue to work for the foreseeable future. Our users are getting anxious seeing the warning message, when do you expect the Chrome fix to be in place? Also, is there a way to get rid of the warning message ? We are actively pursuing a solution that can be used in Chrome and will replace the functionality that we get from NPAPI. It is not a simple issue to fix due to Google not providing a sufficient alternative to NPAPI. We have researched many different alternative methods and have narrowed down the solution. We are currently developing the new solution and we will update this blog when we have more information. We haven’t found any way getting rid of the warning message yet. Will the final solution Dymo will come up with be a solution that will not require any changes for the current program-code people are using? If not; Does Dymo expect that at the release of Chrome 45 the developers of multiple Dymo (code) products can change hundreds of stand-alone (local) machines (with or without testing, change of procedures, support documentation updates, config changes)?! This will take months… You MUST state a date of solution or fix. Please do not wait for Chrome 45 but do it before that so solution providers have a chance to fix this for our customers. It’s fair if Dymo states this is simply not possible… but then we have a choice to drop Dymo directly and search for an alternative product for all the applications in the field that requires (label) printing during the primary work processes. The daily continuity of those company’s are in stake when the Framework is not working without any short term solution. Thank you and please try to let higher management “know” that this problem needs to be fixed… not by Chrome 45… but before that so stuff can be fixed on all levels. If this is not possible, that Dymo chooses not to be a safe choice for enterprise label printing. We are actively pursuing a solution that can be used in Chrome and will replace the functionality that we get from NPAPI. It is not a simple issue to fix due to Google not providing a sufficient alternative to NPAPI. We have researched many different alternative methods and have narrowed down the solution. The new module should integrate seamlessly which means that your current application will require no or just very minor changes in order to run with the new solution. But a new DLS version will be required since the new binaries will be part of DLS. Currently we are developing the new solution with an aim to be in beta in 2nd half of August. We will update our blog when we have more information. We’ve discovered a way of printing through chrome via http OR https without requiring a plugin by piggybacking on the SSL certificate used by Topaz signature pads universal driver. Simply posting your label XML to the host can get it printing. E.g. Ultimately it shouldn’t be hard to make our own X509 CA root & sign a certificate. The only issue is the install tools, some of which are free software & some of which are proprietary tools made by Topaz. As a result I can’t just repackage their software & stick it on sourceforge, but it shouldn’t be too difficult to recode the pieces we need. I’ll try to have the updates on sourceforge tomorrow. Hello, do you have any news on migrating from the NPAPI plugin? I assume everyone will need to know within the coming weeks so we can plan changes to our label provider if Dymo is unable to continue offering their services. We are on schedule with the new solution and anticipate to release a beta version mid-August. I insist on the fact that the deadline is near, and we haven’t heard from dymo for any solution post npapi. Guess we will have to change all printers to a different brand that will provide us with a viable solution. With Chrome 44’s release yesterday (Jul 23rd), we’re a month away from Dymo not working on Chrome. It would be great if you could post a thread new thread on the subject with timeline for beta-access, we need time to ensure development changes work & our clients get reasonable time to implement updates. This is the best news, thanks pi! could you guys setup a page were we could register our email address for any news you will be having in regard to Chrome / NPAPI? Could you please let us know what is the latest news on label printing from Chrome? I have lot of clients using it and there is no time left for me to properly test and implement the new solution. please post the exact date when you will have the solution ready. or let us know if you think you will not be able to solve this then we will know that we need to find a different solution. waiting for your reply as soon as possible please. I have for months found it hard to believe you can not use a Dymo with chrome book or chrome box( as I have) , we have slowly been switching back to windows and finding that windows 10 is not that bad even on a tablet, will not be long before Microsoft overtake anything Android – well for office use, we dont need all the toys and apps etc. could one of you please reply if the Chrome / NPAPI solution you are working on will be posted on this page or we need to follow another page? Do you have any information about what you’re working on and the timing. My concern is that if we don’t have a solution on day 1 when Chrome 45 comes out my company will be in bad shape. Without knowing what you’re coming out with and when I will need to go elsewhere. Hi Kevin, please check out this blog entry, , more information will be provided soon. I’m in the same situation as a few other posters on this thread. Our business sells your Dymo printer to be used with our software that we develop mainly for School Districts. They do not have the option to use other browser nor do they want to change. I would love to keep up to date on your guys solution to this problem. Do you have a link to that blog entry you refer to? Hello DYMO, do you have a date for the solution ? We need enough time to test. We are currently doing a suite of tests in the anticipation of having an open Beta this week, if all goes well. Stay tuned to the blog for more details. adding my concerns. if you need beta testers, count us in. Adding my concerns about DYMO and CHROME. if you need testers, count me in . WIndows 10 and Chrome and Dymo …. not a good combo for me. anyone else? i cant get DYMO Framework plugin to install … have uninstalled DYMO and reinstalled and rebooted several times. Hopefully this will be address in the beta. running all updates for Win10 and Chrome. This is due to the NPAPI deprecation. We’ve been doing tests on Windows 10 with the new service and have successfully used the Framework with Firefox, Chrome, IE and Edge. You have mentioned that this week we would have some Beta solution posed here. This is not to push but please understand our concern too. We have used Dymo with several customers and all depend on the service. Now only one week left to end of the month I cannot see how we are going to get sufficient time to make sure we can do our tests and how we are going to get the time to go to customers and implement the solution. I would suggest to post whatever you have now, I am sure we can join in, have valuable input and speed up the job. Where is the blog please? I don’t see a URL or link. No working solution for Macintosh? We are still working on the Mac version and we will post something when we have more information. Please check the Open Beta post. DYMO and Chrome no more? Do we *have* to use IE now? I was using Windows 7 and despite all the annoying bugs like the security flag using https (if you don’t know it most website run in https – so making it work without any security alert is not optional) I was able to make it work again. I have installed all the thing suggested in the Open Beta Announcement – please help me to fix this because I am really fed up. We are working hard on this issue, We will provide you fix soon, thank you for your patience. Just a quick line to apologize for the previous comment, I was having an hard time from our customers. And to let you know that I have fixed the problems with your latest beta2 release. Thanks for this, now my customers are happy again, hence so do I!!! Keep up the good work and roll out the fix for Mac too, I am looking forward to it! Hi Marco, Thanks for your feedback and apology. We do understand that people are using our SDK for business and that can cause frustration when things don’t work. I know we were pretty frustrated to learn that Google was removing support for NPAPI and not replacing it with something that provides similar functionality but in the end I think we have something that will be better for users in the long run. So apology accepted and I’m glad things are working well for you! Could you explain what you did to solve the problem? Tried my own code and some samples from these threads, but all result in this error..
Reg dymodev comment… We are working hard on this issue, We will provide you fix soon, thank you for your patience. So until you fix the problem I can not print my bar codes for work??? Very unprofessional. I have done every thing suggested to do to make this work, and still nothing. How soon is soon???? Hi Sheila, I’m sorry that you are having issues. We currently have the open Beta Web Service solution, if this did not sufficiently fix your issues, we will be releasing a new version of this service this week that will fix the known issues of fully supporting HTTPS and with Network/Shared printers. any update on this? we are waiting for the HTTPS solution. So, just to be clear, Chrome has made things difficult for everyone. This is not Dymo’s fault, this is the browsers pulling tricks to be more “secure” when all they do is create problems. The Dymo label printer did work in Firefox, so you can avoid using IE if you want. Hello, I have gone through all these steps several times to no change. In fact, it’s gotten worse and the Dymo printer, which had shown up in the system and chrome before, but simply would not work, has now disappeared from the application! None of your suggestions have made any difference with using this in Chrome. Please fix and advise! Do you have any “DYMO Web Service Beta Installer” for MacOS? Is this “solution” only for Windows? I just bought the DYMO LabelWriter 450 and I can only work with Firefox. Chrome doesn’t work because of NPAPI plug-ins deprecation. Please, treat your SDK as your printers. There is no point on having good printers with an outdated SDK. Hi, we are hard at work on the web service for MacOS. Stay tuned. We hope to release a beta in the near future. How is the progress for this issue coming along? We have users on PC and Mac who would love to be able to use Dymo with Chrome again. We’ve released the new DYMO Label 8.5.3 for Windows: . Mac OSX verison will follow very shortly. We are doing a soft launch and released DLS 8.5.3 on the developers site so that all of our SDK developers would have the released version as fast as possible. There is overhead and process that needs to be followed in order to post the build to the website. We want to do that after the Mac version is ready for release. At that point, we will add the build to the update notification and make it available officially through the DYMO website. With the delay in the Mac release and the upcoming holidays, we are aiming for doing the full launch in the first week of Jan 2016. Will this fix the chrome issue? If you have the latest DLS installed you should be able to print from that script. Starting Chrome 45 NPAPI does not exist any more and the only way to print is using the IETab.net extension. I am trying to use a Dymo LabelWriter 450 Turbo, Mac OS X and Google Chrome browser. It’s 2016 and very hard to believe Dymo hasn’t resolved support for Mac OS. Is Dymo still stuck in the 80s? Is dymo.label.framework.checkEnvironment() still supported in the new Framework (2.0.2)? I’m looking for a means of displaying diagnostic information for available printers. You guys just really need to make a chrome plugin. There’s a very good reason Google Chrome has removed NPAPI. It’s a security risk. We need local HW access which can be a security risk per se. We have to enumerate the connected DYMO printers and send print jobs to the DYMO printers. Unfortunately most plugin constructs (excl. NPAPI) don’t allow local HW access. Furthermore we were looking for a solution which works with all common browsers. Do you have an issues to get the current solution working? Out of nowhere, after Chrome & Dymo working well together for over a year or so, last week it just stopped working again. After a full uninstall and reinstall, (2x actually, and then reinstalling an older version as recommended by a Dymo technical Support person), all the trouble shooting..still nothing. Please help! This is sort of ridiculous. A windows release will come out next Tuesday. December 2014 was a long time ago. What’s going on? Have you got a solution yet? We are having problems with windows 8 printing the Dymo 450 Twin Turbo. It works for a couple weeks then stops. This last time we could not get it up and running. I ran the check on it and this is the message I get. Is there any way to get the Dymo LabelWriter 450 to work with a Chromebook? I’ve attempted some of the solutions suggested, but all the downloads won’t open. Anything that will allow it to work? Thanks for your help. We do not have an SDK that targets the Chrome OS. I am unaware of any tricks to make it work, either. After many trials I found out that 8.7.2 stopped working om a PC with Chrome 67 while 8.7.1 still workes on that gear. I had to revert the upgrade. What now? W10 pro, Chrome 67.xxxx, WordPress website. It might be needed to do the installation with admin rights and on a clean system (do an uninstrall before and reboot between steps).